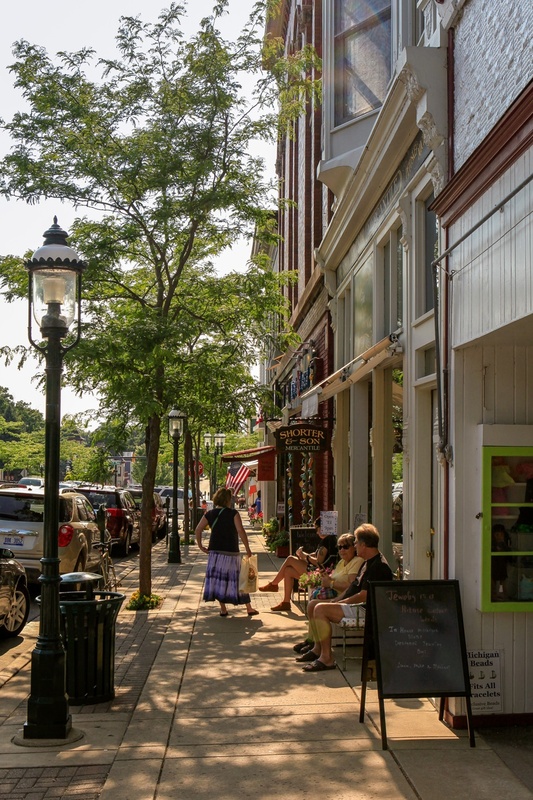 Petoskey has a bustling downtown, a solid school system, a lively arts scene and an active chamber of commerce. 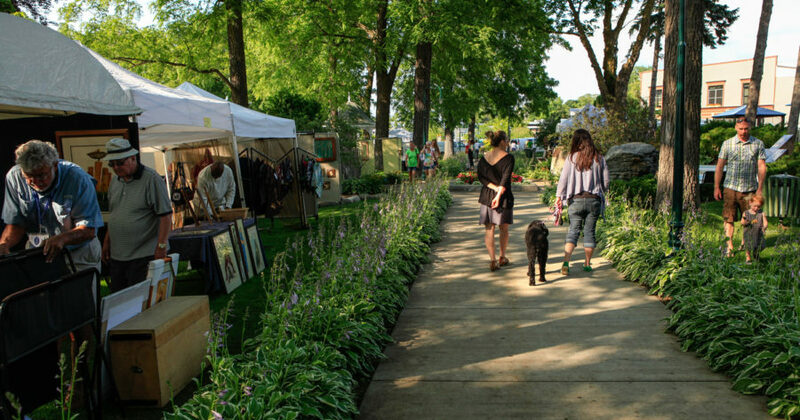 Still, there’s a movement to make a Thriving Petoskey. It’s headed by Chamber President Carlin Smith, who says a presentation on the program wowed him. According to Havey, “thriving” means more than just being financially successful. The business consultant had read the book Firms of Endearment and bought into the premise of conscious capitalism, where businesses are encouraged to prioritize community values, philanthropy and focus on purpose beyond profit, which will positively impact the company’s—and the community’s— health and well-being. Best of all, it will also increase the company’s bottom line, though that part typically lags behind the other observable results. “It turns out nice guys don’t finish last,” Havey says. The former Lake Leelanau resident now calls Denver home, from where he consults with businesses and chambers of commerce across the country. “Two-thirds of the national workforce is disengaged (from their work). It’s just a job,” he says. Worse yet, many workplaces are cheerless places, where the employees are unhappy. Such toxic workplaces find workers returning home full of anger and frustration, leading to desultory home lives for them and their families. Not the way to build a community. Smith was so taken with Havey’s ideas that he engaged him in conversation immediately following the presentation. 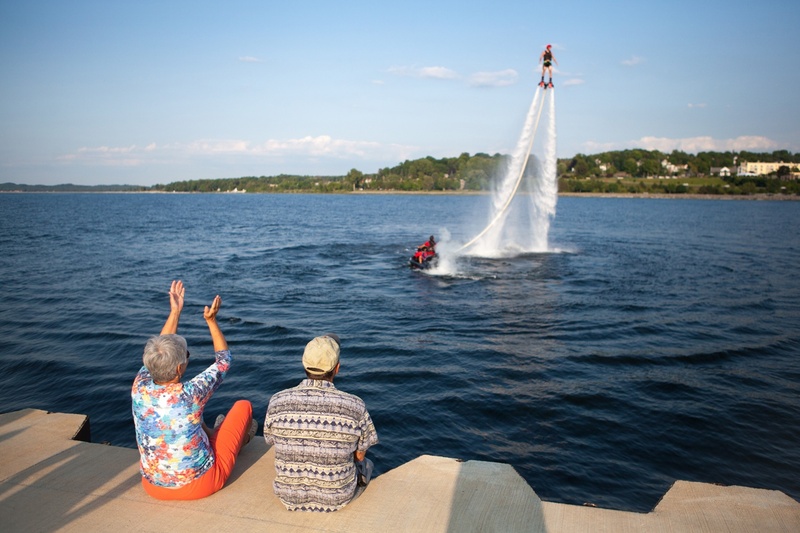 From there, he formed a group including Petoskey business leaders who bought into the approach, and Thriving Petoskey was born. “It was a light bulb moment. It gave me permission to go further in my job,” Smith says. He cites the example of Tom’s Shoes, an online shoe company that gives away a pair of shoes to a child for every pair it sells. “The true purpose of the company is to take care of other people,” Smith says. Company founder Blake McCoskie observed the need while traveling in Argentina in 2006. He came up with the idea of a for-profit company that was self-sustaining yet could assist those in need. The company has since expanded, providing glasses, safe water and birthing kits to those in need, as well as shoes: Over 60 million pairs and counting. Others say the same. Ashley Brower-Whitney, the owner of Harbor/Brenn Agencies, is the Thriving Petoskey chairperson. She says too many times people don’t look forward to going to work. Instead, the attitude of “working for the weekend” makes the start of the work week something to dread. “If you’re passionate about what you are doing and the work has a purpose beyond the paycheck, then the ‘Monday is the worst day of the week’ (attitude) goes away,” she says. The goals of the program are spelled out on the pages of the chamber’s website. 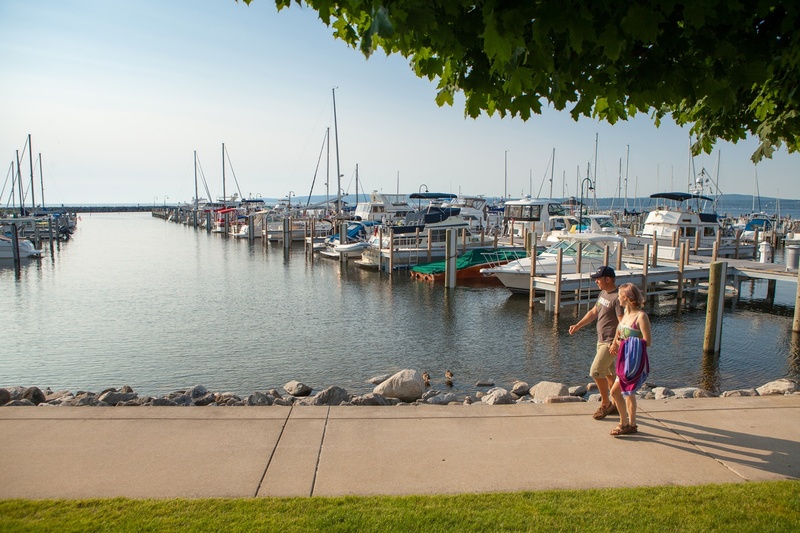 The chamber’s board of directors named Thriving Petoskey as a key strategy in advancing the quality of life by promoting sustainable business practices which enhance the area’s employees, community organizations, and environment. Keeping that financial bottom line in mind, the chamber members are expected to run profitable businesses and organizations while creating value for their customers, business partners, the community and the environment; creating a great working environment where employees are engaged, happy and productive; and being a great neighbor to the community, state, nation and world. That’s all well and good, of course, but making it happen is something else. 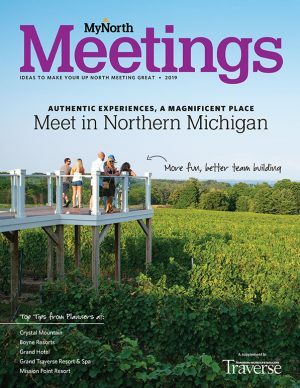 To guide them on this journey, the chamber has created a number of resources, from an online subscription to Conscious Company Magazine and webinars to Thriving Petoskey-themed chamber events and videos. Even the Petoskey Public Library has gotten in on the act. It has created a recommended reading selection of books related to the theme. Both Smith and Havey note that the goal of the program isn’t simply to make a better workplace or community. They say it ultimately will help the bottom line as workers and customers buy into the organization’s overarching goals. But the financial gains will typically lag behind the other observable results. Havey said it can take three to five years for all the results to show. Brower-Whitney says the goal for this year is to educate chamber members and the public about the program. “It’s not business as usual, but we’re trying to make it the new business as usual,” she says.